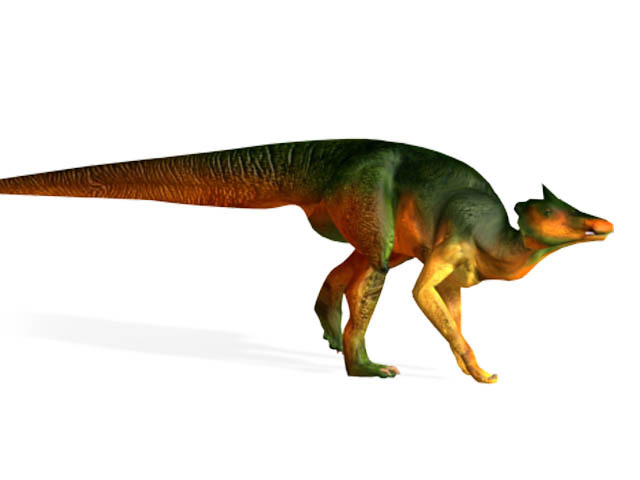 Facts & description: This CGI drawing shows the possible appearance of Saurolophus, a dinosaur from the late Cretaceous Period (around 69 million years ago). It featured a spike shaped crest which pointed backwards from its skull and is from the same family of dinosaurs as Parasaurolophus. Fossil remains of Saurolophus have been found on more than one continent (North America and Asia).